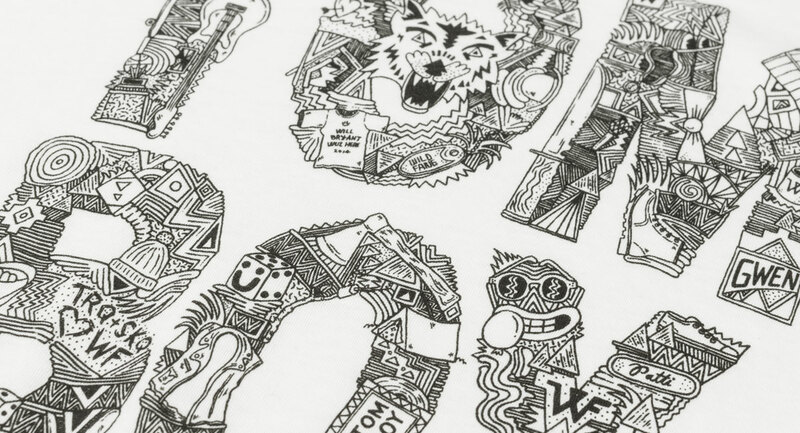 Limited edition tshirt and window installation for Portland label Wildfang. 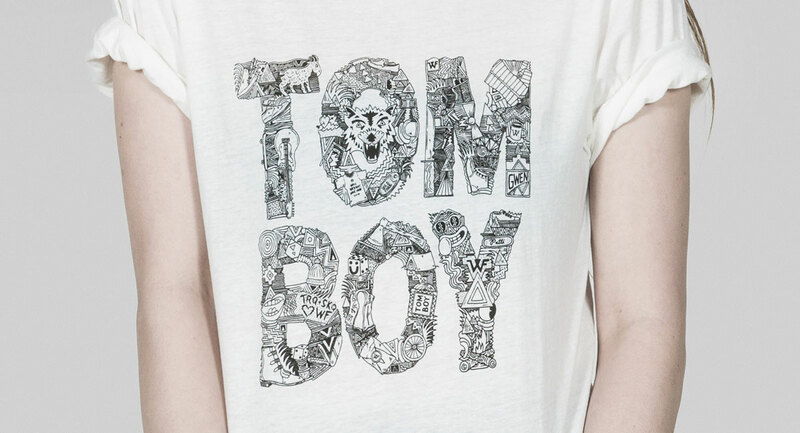 Each letter of “TOMBOY” is filled with mementos documenting Wildfang’s first year as a brand. An additional pattern was created from these elements and also translated into dimensional object based window installation.